The UTS School of Software had another free book table today. Naturally, with precious remaining shelf space, I hurriedly combed through the treasure and picked up these two classics. So much changes, but among their photos of IBM punch card machines and logic gates, you get a sense of just how much the fundamentals have stayed the same. I overuse the term, but it really is humbling. By Douglas Lewin, 1968, reprinted 1976. By V. Carl. Hamacher, Zvonko G. Vranesic and Safwar. G. Zaky. “A considerable number of books on “computer organization” [sic] aimed at first-level specialist courses in computer science and electrical engineering curricula have been published in the last 15 years. 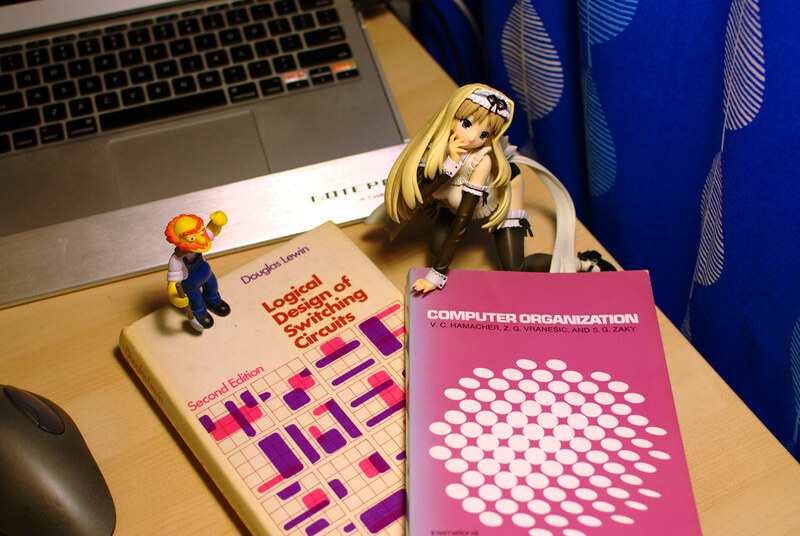 These books usually assume background in digital logic. Many books start with a description of the basic parts of digital systems and then proceed to a design of a hypothetical computer, which is intended to illustrate most concepts discussed in the books. Such hypothetical machines are never manufactured, they are seldom subjected to practical constraints. This leaves the reader in a dilemma about the relative merits of various features.